These are the opening lines to a song from the musical South Pacific written by Rodgers and Hammerstein in 1949. Racism is not natural. We learn to be racists. Science has established that racism is a “construct that is developed in our brains over time.” In other words, it is learned behavior. One way racism is learned is through segregation. Here I refer, not to the legislated segregation of the Jim Crow south, but to the modern version of segregation that finds the races separated through economic inequity. The segregation that finds our schools, north and south, becoming less and less racially diverse. Interestingly, it is not familiarity that breeds contempt as the old saying goes, but familiarity that breeds tolerance and understanding. Brain scientists have found that the more diverse your peer group, the more tolerant your attitudes toward race. Another way racism is learned is through symbolism. The flag flying in view of the State House in Columbia, South Carolina is symbolic of the subjugation of one race by another. It is a state sanctioned emblem of a racist heritage that is something that South Carolina legislators think should be celebrated. The legislature of South Carolina wishes to insure that its children inherit their legacy of racism. Another way that racism is learned is through the denial that it exists. Many articles were written, and many pundits claimed that the election of an African American president proved that we were finally beyond racism. This, however, was nothing more than a game that has been played for decades in this country – the game of allowing the exception to disprove the rule. It is the “good n******” game. The idea that by pointing to one isolated example we can excuse ourselves from the racism that continues in every corner of the country. It is hard to imagine a white president having a finger waved in his face in public, or having his State of the Union speech interrupted by a Congressman yelling “You lie!” or by having his twitter account greeted by thousands of overtly racist tweets. The election of an African American president has not proven that racism is over; it has demonstrated for a new generation of children how ingrained in our society it is. Racism is carefully taught in this country, but because I am a teacher the question is can it be untaught? What can a teacher do to combat the American legacy of racism? I think we must acknowledge that our power to unteach racism is limited because of growing inequity, social isolation of the races and increasing segregation of schools, but still I must believe there is something we can do. First I believe we must be good models of tolerant, open human beings. 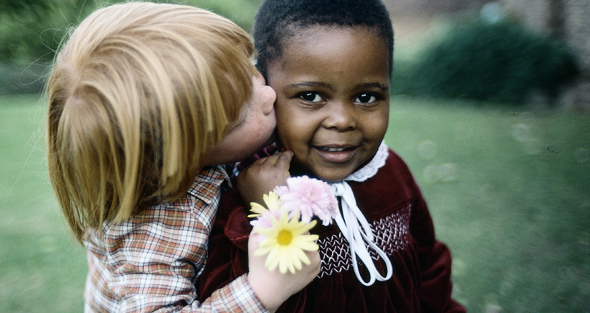 I am sure we all would like to consider ourselves free of racism, but are we really? We must take the time to examine the messages we send to children in the way we behave to those who are different from us. Schools, being institutions, have never been very tolerant of individual differences, whether those are learning differences, religious differences or racial differences. Statistics on school suspensions, for example, would point to a racial bias, just as our larger society’s prison population points to a racial bias. Secondly, I think of the humanizing power of good literature. As teachers who need to be choosing books to read aloud to children that raise our levels of understanding of all of humanity. We need to have classroom libraries that invite children to explore diversity and to gain a better understanding of the hearts and minds of people of all different racial, ethnic and religious groups. Knowledge is not just power, knowledge, as scientific studies have shown, breeds tolerance. The available books are many and wonderful. This link will take you to Carol Hurst’s list to get you started. Finally, I recommend the Teaching Tolerance program sponsored by the Southern Poverty Leadership Conference. I have used these materials in my own classroom and I have found them to be highly effective. Their website offers all sorts of high quality materials for building lessons on tolerance. Their kits and materials are free to teachers and valuable for everyone. Today a word about school librarians and how important they are to the goal of bringing literacy to children. I suppose first of all we need to deal with the nomenclature issue. Today it is more accurate and politically correct to call these very special folks "media specialists." Certainly the job of the librarian has grown over the years, so that librarians are now expected to be what Howard Stern used to call himself, "The King of All Media." But I confess I have a soft spot in my heart for the term "librarian", which evokes for me lazy afternoons dawdling in the stacks looking for another short novel by Steinbeck or historical parody by Richard Armour or picture history of World War II with a librarian often leading the way. So for me it is librarian and I hope no media specialists out there are offended. I learned very early in my teaching career that the school librarian could be the teacher's best friend. I was teaching at Bristol Junior-Senior High School in Pennsylvania and had been charged with taking my freshly minted Master's degree in literacy, which the school district had helped pay for, and starting a brand new "developmental reading" program for the seventh grade. To start the program, the district gave me the princely sum of $400. I took my purchase order and my own list and went down to the school library to talk to Hilda Ben Ezra, school librarian. Hilda was one of the more remarkable people I have ever met and she is the model I have used over the years of what a great school librarian should be. Hilda had a degree in chemistry from Penn State and a masters in library science from Drexel University. She was as well read a person as I had ever met and she loved to talk books and issues of social justice - two of my favorite subjects. We hit it off and became friends. Now I needed a well-informed ally and friend to help me start my classroom library collection. I was determined that my studnets would be surrounded by great young adult literature in their reading classroom. I was convinced that to create lifelong readers my kids needed to be surrounded with good books to read right in the room. Hilda knew more about young adult literature than anyone I knew and so we teamed up. Needless to say, we ran through the $400 very quickly and I was well aware that my classroom library was going to be pretty sparse for my student population of 130. Hilda said, "I have a plan." I can hear Hilda's proposal in my ear now as I write this more than 35 years later. "Russ, I have more books to read and review than I can possibly get to. How about if you help me out by reading some of them and competing review forms and I will help you out by creating a branch lending library in your classroom." And that is what we did. Each month I would supply Hilda with the theme I would focus on in class that month (tolerance, survival, coming of age, historical fiction) and she would pull a cart full of relevant and appropriate titles for my seventh graders. We worked out a system for tracking the books children borrowed and I agreed to be responsible for them. As a bonus, I got to read and review a bunch of new books and my own knowledge of young adult literature grew. If the truth be known, our system of tracking books did not work so well and more than a few were lost, but both Hilda nad I took solace in knowing the books had likely found a good home. Most importantly, lots of kids who had never considered themselves readers began to read. Over the years I taught at many levels and I always tried to use versions of this model as a way to supplement my classroom libraries. Unfailingly I found the school librarians I worked with to be knowledgable and supportive. I never did get better at tracking the books, however. Once I moved into adminsitration, I had the great good honor of supervising the librarians in my school district. Again I found people who were passionate about books and kids and about kids reading books. With these folks we opened four new school libraries, divied up the holdings of older libraries to new schools and libraries, transformed from card catologues to online data bases and continued to try to get books into kids hands. And yet with all the good and important work that school librarians do, they are an endangered species. The Great Recession and the fallout from the test-based accountability mania that is dominating the narrative in many schools has differentially impacted librarians.The numbers of lay-offs of school librarians has far exceeded the lay-offs of classroom teaching personnel. School libraries are being closed, full-time staffing of school libraries is being reduced to part-time. Clusters of elementary schools are being forced to share one librarian. Any person that has an ounce of knowledge about children, learning and literacy knows that this is short-sighted. A well-stocked, well-managed school library, appropriately staffed with professional librarians will have a greater impact on student literacy in the school than any standardized test. The school librarian is central to the mission of any school. They need our support. For all those classroom teachers out there, I recommend that you be sure to make a friend of your school librarian. The relationship will make a world of difference in your teaching and in your students' learning. How might we go about "revising" the Common Core? I have an image I cannot get out of my head. New Jersey Governor Chris Christie is moonwalking down the boardwalk in Seaside Heights trying to escape US Secretary of Education Arne Duncan who is chasing him and waving a copy of the Common Core State Standards Christie signed four years ago, yelling, "Keep walking, keep walking!" In case you missed it Christie, for years a staunch supporter of the Common Core, has declared the standards null and void in New Jersey. I won't pretend to think that this move is any more than a cynical political ploy designed to increase Christie's appeal to the right wing loonies in his party. I also won't pretend that State Commisioner of Education David Hespe would be a good choice to lead the "revisions." Stuck with the daunting task of explaining Christie's Common Core manuevering to the pro-Common Core State Board of Education, Hespe did not inspire confidence. Hespe promised a "deliberative process", but when pressed on what changes to expect he essentially said, "Well, I wouldn't expect much." Me, neither. But what if for just a moment we chose to entertain ourselves with the idea that Christie means what he says about including New Jersey teachers and parents in the revision of the new "New Jersey" standards. What might this "deliberative process" look like? What would be some key changes we might want to see in the Common Core? As far as process is concerned we would want to empower a panel that included public school parents, public school teachers, teacher leaders, public school principals and curriculum directors, college professors from various universities across the state including professors of education, early childhood education experts, representatives from the New Jersey Literacy Association and the New Jersey Association of Mathematics Teachers, and a test and measurement expert or two. These groups should then open hearings inviting input on the various strengths and weaknesses of the current Common Core and suggestions on what would improve them for New Jersey's students. Hearings would lead to draft standards that could then be field tested in various school districts to see if they truly make sense, can be taught, and are developmentally appropriate for the targeted children. The period of pilot testing would lead to further revisions, public hearings and the adoption of the standards. A provision would then be made for a permanent standards panel empowered to consider amendments and revisions to the standards as they go into force across the state. At this point, the panel might also want to consider developing assessments that measure progress on the standards. This process, you might notice, has many features that the Common Core process lacked: inclusion of classroom teachers and parents in the development; inclusion of early childhood experts; open hearings; field testing of standards and a process for revision of the standards. The process also keeps teaching and learning, rather than testing, as the central driving force. So much for process, what changes to the Common Core document itself would make the most sense? The first change I would like to see would be in the organizing purpose of the standards. To me, "college and career readiness" is a narrow and limiting target. It is the product of minds focused on global competitiveness rather than human development. A better target for education in a democracy would be to prepare students for a rich and rewarding life as an individual and as a contributing member of society. Getting down into the weeds of the Core itself, I would hope that the revisions would focus on the developmental appropriateness of the standards from K-8. The Common Core was rather famously built from the perspective of the college freshman on down, a process that inevitably lead to developmentally inappropriate expectations for younger children. If the New Jersey panel, with its early childhood experts, could instead focus on ranges of appropriateness, rather than grade level appropriateness, the standards would be infinitely better. It is simply not possible to have rigid grade level standards for young children. Every elementary classroom is filled with students at various developmental levels and standards must acknowledge this fact and be able to accommodate this reality. The Common Core emphasis on rigor, text complexity and close reading has been interpreted in many quarters as a call for all children to be reading harder texts harder. The architects of the Common Core have been complicit in this perception with some of their pronouncements and You Tube video model lessons. A more thoughtful implementation process could have prevented this, but I would like the revised New Jersey standards to address the issue more clearly. It must be clear through the revised standards that rigor, in the words of Robert Probst and Kylene Beers, is an "artifact of instruction and not of the text." In other words we provide rigorous instruction without giving students texts that are beyond their ability to read and comprehend. Additionally, the role of fiction in the development of critical thinking and human empathy must be at the center of an ELA curriculum. Again because of a flawed model, which attended to the college freshman rather than the developing mind of the child, the Common Core called for an increase in the reading of informational text. Sandra Stotsky, a leading developer of learning standards, who helped develop the Massachusetts standards that are considered, even by education reformers, to be of the highest quality has had harsh words for the Common Core obsession with informational text. A diminished emphasis on literature in the secondary grades makes it unlikely that American students will study a meaningful range of culturally and historically significant literary works before graduation. It also prevents students from acquiring a rich understanding and use of the English language. Perhaps of greatest concern, it may lead to a decreased capacity for analytical thinking. I will let my math colleagues weigh in on the weaknesses in the Common Core math standards. For now, if Chris Christie is serious about having New Jersey educators and parents involved in the process of creating New Jersey standards and if Commisioner Hespe is serious about providing a deliberative process, then they should be sure that the process and product concerns cited here are addressed. I am not holding my breath, but I think if the process falls short of the expectations outlined here, all New Jersey parents and educators should cry foul all the way to the statehouse in Trenton. Now that David Letterman has exited stage left, taking his Top Ten Lists and Stupid Pet Tricks with him, Russ on Reading is ready to step into the void by highlighting a new bunch of clowns for your diversion. Inspired by the incredible stone-headedness of this nation's governors when it comes to education, I call my new list Top Ten Stupid Governors Education Tricks. Since education policy supposedly lies with the states in this country (unless you are accepting bribes in the form of stimulus money from the federal Department of Education), governors hold a great deal of power when it comes to education policy and budgets. Many governors have fallen in love with the false promises and faulty reasoning of the corporate education reformers (possibly because these reformers fill their campaign coffers) and have done some supremely stupid things. The list below only scratches the surface. Please feel free to add your own stupid governor's tricks to the list. 10. Connecticut Governor Dannel Malloy - While most governors on this list are Republicans, Democrat Malloy shows that Republicans don't have a monopoly on gubernatorial stupidity. In his 2012 State of the State address, after riding teacher union support to an electoral victory, Malloy said, "In today's [education] system, basically all you have to do is show up for four years. Do that and you have a job for life." Malloy then introduced a bill to do away with tenure. Malloy has been backpedaling from this stupid trick ever since, finally pressuring his reformy Education Commisioner, Stefan Pryor, out in a deal with the Connecticut Education Association last year. But you need to ask, "On what planet do you get better education performance from students by denigrating the people who are working closely with those students every day?" See? Just stupid. learners and children with disabilities, because they only want families who are highly motivated. For Rauner "school choice" apparently means only educating children that charters choose to educate. He is a champion of the dual system of education, one for the haves and another that none of his cronies cares about or supports for the have-nots. 8. New Jersey Governor Chris Christie - Chris Christie is running so hard for president that he is laying waste to the state he was actually elected to govern. On education he has flip-flopped more than a stranded whale on a New Jersey beach. Christie has read the conservative political waters of the nation and has suddenly discovered that the Common Core State Standards, which he has long championed, now represent federal overreach. Compounding his stupidity is that the governor has called for new "New Jersey" standards, but will keep the Common Core aligned PARCC test in place. So, let's change the standards, but not the test that measures the learning of those standards. This leaves New Jersey's school children and teachers further confused about what to study and how to prepare. 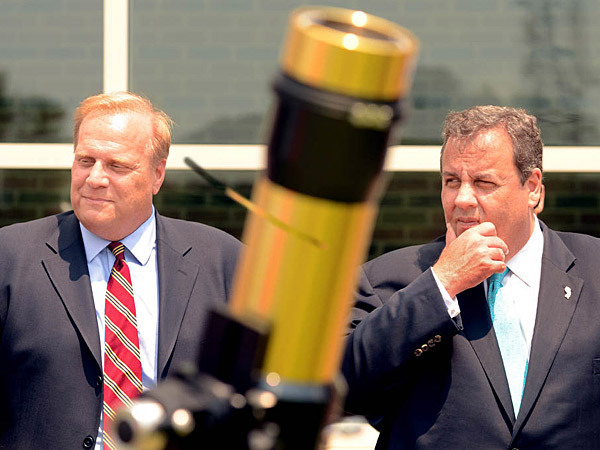 In any test of accountability in public office, Christie can only be pronounced "not proficient." 7. Louisiana Governor Bobby Jindal - Like Christie, Jindal loved him some Common Core until he decided to run for president. But this flip-flop added an extra measure of stupidity by generating a legal battle between Louisiana Schools Superintendent John White, who continued to support the Core and Jindal, who needed to distance himself from the Core to appeal to the conservative Republican base. White actually sued and won a court battle over the Common Core against Jindal. Louisiana blogger Mercedes Schneider writes that Jindal's legal team failed to provide a strong case. This is the second high profile court case related to education Jindal has lost (He lost an earlier federal case that vacated his voucher program). Jindal has argued that teachers do not need training in education to be effective teachers. Perhaps Jindal hires lawyers without legal training as well. 6. Mississippi Governor Phil Bryant - Governor Bryant flunked third grade when he was 9 years-old because he couldn't read well. Bryant believes that this was really good for him and so he has decided to share this good fortune with about 6,000 current Mississippi third graders who "failed" a state literacy test. Apparently, Bryant's literacy education was not sufficient to allow him to read and comprehend the tons of research that demonstrates how retention is bad for children in myriad ways and often leads to students dropping out. I wrote more about this child abuse here, but for perpetrating this stupid education trick let us hope that Bryant is not "retained" as governor in the next election. 5. Indiana Governor Mike Pence - Republican Mike Pence came into office in 2012 hoping to continue the destruction of public education begun by his predecessor Mitch Daniels. Unfortunately for Pence, on the same election night when Pence was elected, the people of Indiana also elected a new Superintendent of Public Instruction, Glenda Ritz. Ritz was voted in as a rebuke to the reformy policies of former Superintendent Tony Bennett (not the one who left his heart in San Francisco), so Pence was faced with a quandary: How to continue the reformy agenda with an actual public school teacher and advocate for public education in office as the schools superintendent. Pence hit on a plan that earns him a special place on this list. He decided to ignore the democratically elected Ritz and strip her of any power. His message: Democracy be damned, I gotta' deliver school choice for my wealthy cronies.Pence managed most of this with the aid of a heavily Republican legislature, but Ritz may have the last laugh. She recently announced she is running for governor. In the last election, she polled more votes than Pence. We can only hope that happens again in 2016. Read more about Pence's stupid education tricks here. 4. Wisconsin Governor Scott Walker - College dropout Scott Walker earns his stupidity award honestly. His motto seems to be "Who needs an education when you have rich friends?" Taking his cues from these rich friends, Walker has gone full frontal in his attack on public employees, particularly teacher's unions.The New York Times reporters Patrick Healy and Monica Davey have done a good job of exposing the roots of Walker's anti-unionism in this article. There are many acts of stupidity that can get Walker on this list, but his latest one is a doozy. Walker wants to cut 250 million from the budget of the University of Wisconsin and use the money to build a new stadium for the National Basketball Association's Milwaukee Bucks. Walker was quoted as saying about his reasoning for spending big bucks on the Bucks, "There is a cost to 'no'." Apparently it is ok to say no to a great state university, but you dare not say no to a basketball team. What Walker seemingly learned during his short stay at Marquette was "Basketball good, public education bad." 3. 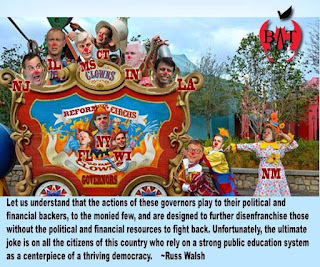 Florida Governor Rick Scott - Like the other reform governors here, Florida's Rick Scott loves charter schools, vouchers, union bashing and everything else designed to destroy public education and turn it over to the privatizers. Scott makes this list though because about three years ago he discovered that Florida might be giving too many tests. Nothing much happened about this discovery until this year, where, after apparently three years of study of the problem, Scott signed a bill eliminating exactly one test, an 11th grade language arts exam. I am sure that makes the 3rd graders in Florida feel better. Of course, these kids should all feel better because now they can only be tested for 45 hours a school year or the equivalent of non-stop testing for two weeks a year. Gee, thanks, Guv. 2. New Mexico Governor Susana Martinez - Martinez earned her way onto this list with one of the more telling stupid governor's tricks. During her campaign she was caught on tape denigrating women, political opponents and teachers in a profanity laced campaign meeting. Specifically, Martinez said that she could not understand what teachers were complaining about since they “don’t work you know two-and-a-half months out of the year, three months out of the year.” Unsurprisingly, a person with such a low regard for teachers has bought in to the entire corporate education reform agenda of test based accountability and choice. When her uncensored remarks were made public, her advisors tried to laugh it off as Susana being Susana, but the teachers and children of New Mexico are not laughing. 1. New York Governor Andrew Cuomo - And the number one prize for Stupid Governor Tricks can go to none other than that champion of educational obtuseness, Andrew Cuomo. In December 2014, Cuomo vetoed his own bill that placed a two year moratorium on the use of test scores in teacher evaluations. Apparently, Merry Andrew was miffed that teachers scored well on their 2014 evaluations and he would have none of that. Against any and all factual information at hand, Cuomo then decreed that 50% of the teacher evaluation would be based on test scores. If these bogus "value added measures" show the teacher to be ineffective, the teacher cannot get an effective rating, no matter what observational data says. Other provisions rule out the following as part of the evaluation: student work portfolios, student or parent surveys, and professional goal setting documents. Andrew Cuomo truly believes that teachers are to blame for student failure and by gum, he is going to find an evaluation scheme to prove he is right, no matter what damage it does to teachers, children, and public education in New York. Like all the other governors listed here, Cuomo has chosen to ignore the real reasons for educational problems: poverty, segregation and inequitable distribution of resources and has focused his sights on those miscreant teachers, who have only dedicated their lives to working with children. Children whose welfare and potential these governors ignore at every turn. Let us understand that the actions of these governors play to their political and financial backers, to the monied few, and are designed to further disenfranchise those without the political and financial resources to fight back. Unfortunately, the ultimate joke is on all the citizens of this country who rely on a strong public education system as a centerpiece of a thriving democracy. Russ on Reading is on the road this week, visiting my son, Bruce, and daughter-in-law, Jennie, at Indiana University in Bloomington. Bruce is studying for his MFA and Jennie is working for the university. We went to a local restaurant last night where I could not help but notice a prominent sign in the window declaring, "We Proudly Serve Everyone." The reference, of course, was to the "religious freedom" act signed into law last month by Indiana Governor Mike Pence in a closed door meeting with a group of the bill's supporters, including many of Indiana's leading opponents of gay rights. As soon as the signing became a national scandal, of course, Pence, just one of seemingly dozens of Republicans "exploring a possible run for the presidency', started backing away from the bill, claiming disingenuously that the law wasn't meant to discriminate against gays. Pence went into full damage control mode when corporations like Angie's List started pulling up stakes and when the NCAA threatened to move the Final Four basketball competition from Indianapolis. As much damage as Pence has inflicted on the cause of human rights here in Indiana, his negative impact on the public schools may be even greater and longer lasting. Pence's education agenda reads like a litany of corporate education reform initiatives: destroy teacher unions, expand charter schools, expand voucher programs, and enforce the state take over of struggling schools. 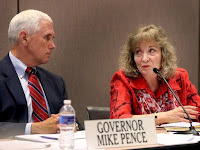 Pence has also waged a very public fight to wrest control of the state education policy from duly elected Superintendent of Schools, Glenda Ritz. Indiana is one of the few states in the country where public school funding is controlled entirely at the state level. The education battles, therefore, are carried out at the state house and the governor has enormous influence over the public schools, funding and policy. Governor Pence is quite literally the Hoosier Daddy for the school children of Indiana and this daddy is not taking good care of those children. Pence came into office hoping to continue and deepen the damage to the public schools inflicted by his predecessor, Mitch Daniels, and former schools Superintendent Tony Bennett. But a surprise was waiting for him at the end of election night as Bennett was soundly defeated by Ritz in the same election that sent Pence to the Governors's mansion. In fact, Ritz got more votes than Pence did. The election was a clear indication that the voters were dissatisfied with the educational policies of Daniels/Bennett. But Pence wasn't going to let that stop him. He went to work to subvert democracy by stripping Ritz of power. You can read the sorry story of the Pence campaign against Ritz here and here, a campaign so transparently anti-democracy that even the heavily Republican legislature failed to follow Pence in completely removing Ritz from any significant role in education policy. While Pence has been busy trying to find ways to work around Glenda Ritz, he has also been pushing for an expanded state commitment to charter schools and vouchers. Indiana has had charters for sometime, so Pence's push must be driven by evidence of success, right? Not so much. WTHR TV in Indianapolis reported in late 2014 that more than half of Indiana's charters are failing or doing poorly. The low scores may or may not have been the result of Tony Bennett no longer being around to manipulate the grades of favored charters, or the scores may be indicative of the overall failure of charters to improve teaching and learning. Bennett resigned his new position as Florida's Superintendent of Schools when the release of emails from Indiana showed he had manipulated the grades of some charters. Whatever the reason, the performance of charters in Indiana does not inspire confidence or make the case for expansion of charter programs. Under Governors Daniels and Pence, Indiana has become the state with the most rapidly expanding voucher program in the country and in his latest budget proposal Pence seeks expansion of the program. This expansion is, of course, disastrous for public schools and for Indiana's school children. The expansion of vouchers in the state has shown an increase in the number of white children using vouchers and a decrease in use by the supposed targets of vouchers, African-American and Latino children. Vouchers in Indiana offer most parents a false choice. They are a choice between well-funded, well-resourced public schools and handouts to private schools and middle class parents. And all of this yielding no appreciable improvement in student learning. Even the reformy minded Arne Duncan and President Obama oppose vouchers because they recognize they lead to the destruction of the public schools where 95% of students go. Every child should have a school that has enough nurses, social workers, guidance counselors, gym teachers, art teachers, music teachers, librarians, small class sizes, electives, hands-on projects, science experiments, theater, band. Every child. But instead our schools are being strangled. They are jumping through hoops where every. single. thing. is. tied. to. a. score. And the purpose is money. Thanks to people like Cathy Fuentes-Rohwer and many others, there is hope on the way in Indiana. In the farmer's market, Cathy was excitedly talking about the very real possibility that State Superintendent Glenda Ritz will run against Hoosier Daddy Pence in the 2016 gubernatorial election. That is the same Glenda Ritz who got more votes than Pence in the last election. The same Glenda Ritz, public school teacher and media specialist, who Pence has tried to strip of any meaningful role in her duly elected position. According to Diane Ravitch, Ritz is expected to announce she is running for governor at a press conference on June 5th. When that happens, parents and teachers in Indiana will have another opportunity for a referendum on public education. 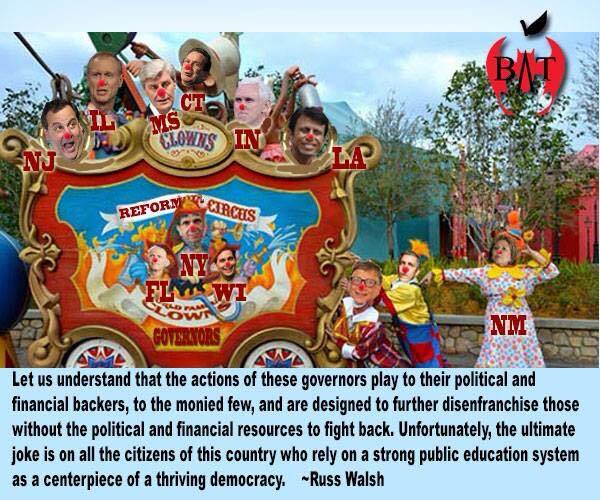 Indiana will become ground zero for the battle against coprporate education reform. All of us need to get behind this effort and provide whatever support we can to this cause. It would be glorious indeed, if after the 2016 election, Glenda Ritz can make a phone call to Mike Pence and ask, "Hoosier Daddy?" Today's guest post is by my favorite literacy specialist, Cynthia Mershon. Besides her many years as a teacher,Cynthia has been a consultant to the television program, Reading Rainbow, the former chairperson of the Video and Literacy Special Interest Group of the International Literacy Association, and has presented workshops on using captioned television as a text in the classroom. Every teacher who teaches reading, every teacher who cares about students’ reading development, knows that the more we read, the better we read. Practicing reading for significant amounts of time each and every day helps students become better readers. As teachers, we are constantly trying to give our students more time to practice the whole act of reading, as well as searching for classroom strategies that facilitate that practice. A strategy that offers powerful support for our goal of offering students the opportunity to read more and read better is captioned television. Captions – the dialogue, narration, and/or sound effects of a television program or video that are printed on the television screen – are now available on hundreds of hours of television programming each week and on thousands of home videos. The reading practice that results from reading captions affords students an opportunity to develop and improve their reading ability. It is that simple, and yet there is more to captioned television than meets the eye. Captions were originally developed to enable deaf and hearing-impaired individuals to enjoy and gain information from television. Research, however, reveals that when students read the words on the television screen and hear them spoken by the people in the television program or movie and see the pictures or images on the television screen that tell them what those words mean, their reading comprehension, vocabulary, fluency, and general engagement with reading increases and develops at a higher rate than those students not watching captioned television. In particular, learning disabled and ESL students exhibit dramatic improvement in language skills when captioned television is a regular part of their reading program (Koskinen, P.S., & Wilson, R.M. 1987; Koskinen, et al., 1993; Neuman, S., 1991). Not only is captioned television effective in developing reading skill, it also motivates student to want to read. Taking advantage of students’ familiarity with and interest in watching television and films, using television as a reading text plays into skills students possess and can use effectively in instructional settings. Researchers have found students and teachers are enthusiastic about the use of captioned television in their classrooms: students’ attention to task is high and their attitude toward learning is positive when captioned television and film is a component of their lessons (Koskinen, P.S., & Wilson, R.M. 1987). Initial research looked at simply including captioned television in the classroom reading program without direct instruction on the part of the teacher, i.e., while the concept of captioned television was explained, no explicit teaching accompanied that viewing. The positive effects on children’s reading comprehension, vocabulary, fluency, and attitudes were gathered from studies that involved the introduction of time spent watching – and only watching – captioned television. As a result of this research, teachers are considering captions as reading material for all students, and are embracing television programs and films as classroom texts for developing reading comprehension, vocabulary, and fluency, building background knowledge, and encouraging student interest in learning. Since that early research, teachers have been expanding their use of captioned television in the classroom to include deliberate teaching of comprehension/vocabulary strategies that can be effectively used with any text. Are we teaching predicting, questioning, and inferring with our read-aloud, for example? Then we can teach those three strategies when using captioned television as a text. Keeping in mind that early research, however, suggests strongly the benefit of students watching from 30 to 60 minutes of captioned television at home each day, even if, unfortunately, they watch it alone. The time spent reading the captions, and the multimedia input of text, sound, and visuals that supports their ability to read the captions, will have a positive effect on their reading development. This knowledge is especially important considering the deleterious effect of “summer loss phenomenon” (Crowell & Klein, 1981) – children’s reading ability actually declines during their summer vacation from the daily organized reading practice provided by schools. Students at home over the summer could be watching captioned television each day, developing their reading skills doing something they do well and do often. Parents often ask us about what they might do during the summer months to support their children. One of the best – and easiest - answers we can offer is to tell them to turn on their television’s captions. My experience with using captioned television in the classroom began when I used Reading Rainbow for 30 minutes each week to support my third, fourth, and fifth grade struggling readers. (Interestingly, this program premiered in July 1983 funded in part by a grant with the intention of providing a solution to summer loss phenomenon). I was looking for a variety of strategies to develop their comprehension and vocabulary, but wanted also classroom practices that would extend background knowledge, interest in and excitement about reading, and engagement in learning. I turned on Reading Rainbow and its captions and found, through its program design, that it supported and facilitated the teaching of reading: it featured a read-aloud followed by an experiential segment related to the read-aloud; the program ended with students reviewing books related to the read-aloud; host LeVar Burton talking about the importance of reading as he interacted positively with a variety of people. Reading was celebrated throughout each episode of the program, providing students with a regular picture of the power and pleasure of reading. And……in addition to their daily independent reading, they were reading 30 minutes of captions each week. Reading Rainbow led to films – or parts of films – presented as texts in the classroom. 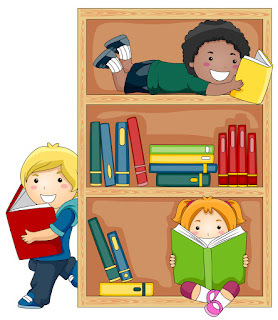 My reading program was organized around several literacy components that supported students’ reading development: teacher read-alouds, literature discussion, direct instruction of comprehension strategies, independent reading, written response to reading, partnership work, and student-teacher conferences. These components were practiced with all texts in our classrooms, be they print or video. For example: Our first read-aloud in grade five, selected to support a science unit that focused on insects, was Mary James’ Shoebag (a young cockroach wakes one morning to find he has changed into a boy). With great humor, the story is told entirely from the cockroach’s point of view. To deepen our understanding of the story, we explored the important literary devices of “point of view” and “personification” in our discussions and by reading also Chris Van Allsburg’s Two Bad Ants (two ants and their adventure in a kitchen with an enticing sugar bowl, again told from the insects’ point of view). Watching parts of the captioned film, “Honey, I Shrunk the Kids” followed. This third text tells the tale of a brilliant but eccentric scientist who accidentally shrinks his son and daughter, as well as his neighbor’s two children, so that the four children, now the size of insects, must find a way to survive in the family’s back yard. This part of the movie, of course, is told entirely from the tiny children’s perspective. As we watched the children make their way through grass five times their height, we talked about point of view and how it affected our perception of and understanding of a story: we carried the strategy of examining a text though the lens of literary devices through all three texts. 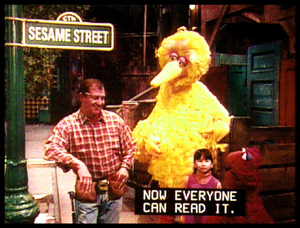 Captioned television, acting as a classroom text, not only offered our students reading practice that led to comprehension, vocabulary, and fluency development, but allowed us as teachers to extend students’ understanding of strategies as tools that could be used flexibly and consciously to construct meaning from a variety of texts in a variety of situations. Captioned television is one of many strategies and practices available to classroom teachers in their quest to ensure students become successful readers. Too often we hear that watching television is a waste of time and that we should rethink the role of television in our lives. Important considerations, certainly, but perhaps thinking about the power of captioned television is a more important one. I am drawn to a strategy that can develop comprehension, vocabulary, fluency, and positive engagement with reading. I appreciate a strategy that takes advantage of students’ obvious appreciate for television and video, and the ease with which they watch, embrace, and manipulate this medium. I applaud a strategy that students can practice at home, even when they are alone, that will build their reading skills and perhaps blunt the effect of three months each year without the daily practice in reading that school promises them. I remain convinced that captioned television is one of the most important research-based reading strategies to appear in the 20th century. I wonder – often – what might happen if we found a way to share it, enthusiastically and regularly, with all of our students. Crowell, D.C., & Klein, T.W. (1981). Preventing summer loss of reading skills among primary children. The Reading Teacher, February, 561-564. Koskinen, P.S., & Wilson, R.M. (1987). Have you read any good TV lately? : A guide for using captioned television in the teaching of reading. Falls Church, VA: National Captioning Institute. Koskinen, P.S., Wilson, R.M., Gambrell, L.B., & Neuman, S.B. (1993). Captioned video and vocabulary learning: An innovative practice in literacy instruction. The Reading Teacher, 47, 36-43. Neuman, S. (1991). Closed captioning helps ESOL students learn English. Reading Today, February/March. Thron, J.R. (1991). Children’s literature: Reading, seeing, watching. Children’s Literature in Education, 22, 51-58. James, M. (1990). Shoebag. New York: Scholastic. Van Allsburg, C. (1988). Two bad ants. Boston: Houghton Mifflin. Honey, I Shrunk the Kids: The Movie. Dir: Joe Johnston. Walt Disney Pictures, 1989.